If you are looking for an easy and lucrative side hustle, eBay is a fantastic way to start making some easy cash. I am PUMPED to show you how to start making money on eBay. Today I am going to teach you how to set up your account and figure out the hardest part of eBay: shipping. Start by signing up for an account with eBay. If you already have an account, that’s great. You will (hopefully) already have collected some positive feedback. Think carefully about your name…don’t use anything offensive, as people will see your username when listing items and responding to messages! Try to make it as memorable and catchy as possible. 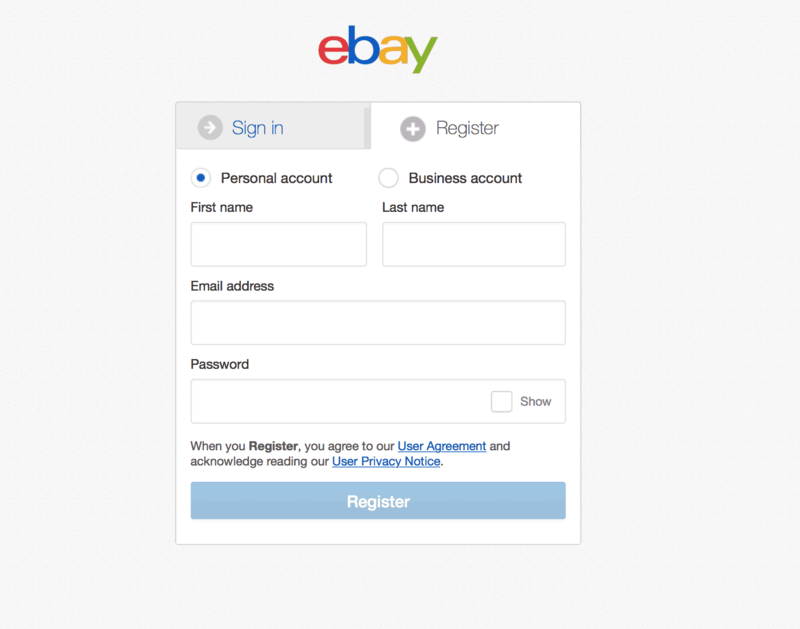 Start with a personal account…you can always switch to an eBay store later. 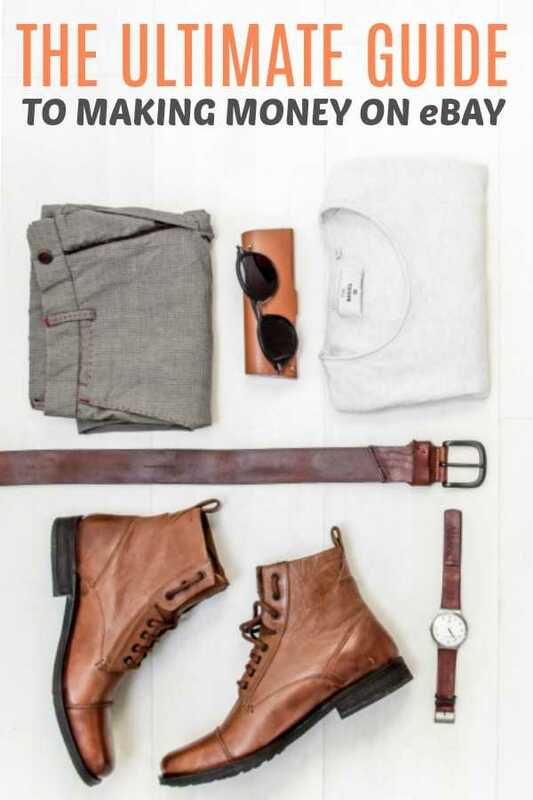 You will receive 50 free monthly listings and only pay fees once your items sell. You should definitely sign up here. After signing up, link your bank account so that you can easily transfer money. Having PayPal also enables you to print shipping labels from home, which saves you around 20% off shipping fees. (Note: just after this writing, eBay announced it will be using a different service soon. It will not go into effect until 2020, and the transition should be seamless. Read here for more info). Selling on eBay nowadays is super simple thanks to the free eBay app. You can do everything you need on your phone: take pictures, edit them, set up the listing, and even print your shipping label from home (super important). I also find it easier to navigate than the website, although typing the listing on your phone might be a little slower. To download the app, go to your phone’s app store and search for “eBay app”. Download, install, and enter your email and password to sync with your account! Shipping is the hardest part of eBay! If you don’t know what you are doing, your profits can quickly get eaten up by shipping costs and supplies. 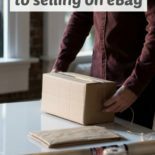 Here are some tips for how to ship effectively with eBay. If you have to buy boxes, bubble wrap, storage bags, etc that is going to reduce your overall profit. The less you spend here the better! Make sure you keep your overall packaging as light and as small as possible. 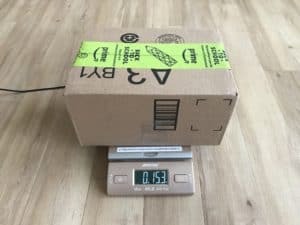 The more your items weigh and the larger they are, the higher the shipping cost. Try and find a package or box that SECURELY fits the item you are selling as closely as possible, with some room for protective wrapping like bubble wrap, newspapers, packing peanuts, etc. ALWAYS use quality packaging so that your item arrives to the buyer in perfect condition. This makes for great reviews and repeat customers. To list an item on eBay, you need to specify a shipping package size and weight. You could guestimate and pack it later, but you may underestimate or overestimate the cost of shipping and get burned. I find it far more efficient to package and weigh the items before finalizing the listing (do make sure to take the pictures BEFORE you pack up). You need to be able to specify the weight down to the ounce. One ounce could make a difference of several dollars! If possible, keep your shipping weight under 16 ounces. 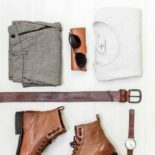 If you can keep your item and box under 16 ounces, it will quality for First Class Shipping, which is a flat rate based on the weight and BY FAR the most cost efficient shipping method. You probably have some kind of measuring tape sitting around your house, just use whatever you have, you don’t need anything special as long as it measures inches and feet. Finally, to close up your boxes you need some good, strong packing tape. Get one you like and just order the refills when you need them. Don’t fully tape the boxes closed until the item sells and you are ready to ship. Sometimes customers will ask questions that you can’t answer without removing the item from it’s box! Label your packages so you don’t forget what is inside of them! I like to write the listing in black Sharpie (just make sure to cover it with the shipping label so no one can read it later). Let me know if you sell on eBay and what you think your biggest challenge is in the comment section below! Now you are ready to move on to Part II: Creating a Great Listing. « This DIY Camera Bag Hack Can Save You HUNDREDS! This is very helpful and a great article. Thanks for sharing on To Grandma’s House We Go! Thanks Chas! See you next week at Grandma’s! Wow! 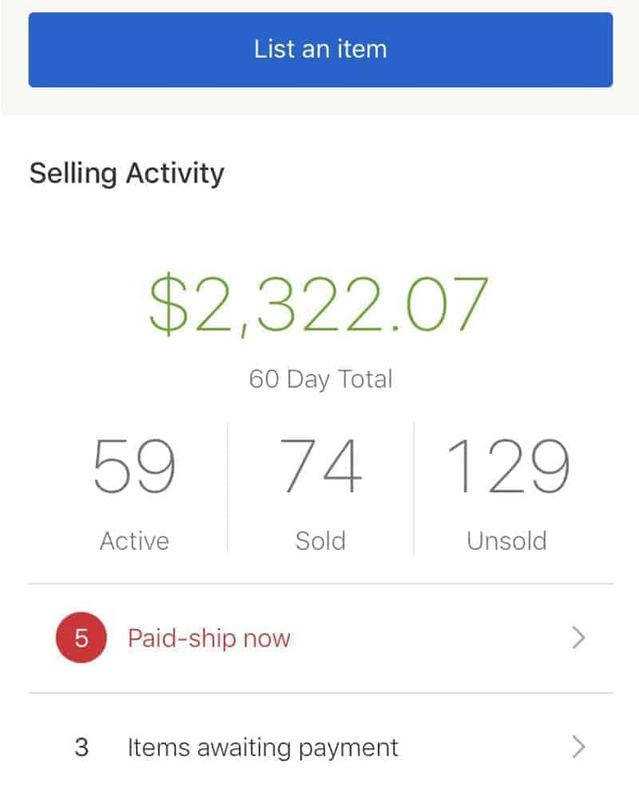 This is crazy how much you’ve made selling on eBay. I think I sold something one time on Ebay and I messed it up! I was sending her my son’s old crib set and I forgot to include the plastic topper to t he mobile. So, I had to send out a second package and lost some money on that one! I guess I need to be more organized. LOL. I love to buy stuff off of eBay! I have a friend that paid for her entire trip to Italy & France by selling stuff on eBay. Her husband was going for work and things are tight with them so she sold things they had on Ebay to save up for it. Great tips! I had good luck with Ebay years ago. Maybe it’s time to give it another try. Great article. I sell on Etsy and feel like I’m always getting the shipping wrong. I’m curious why you chose eBay over Etsy for selling? I’m just more familiar with Etsy, but I’m curious about a second shop on eBay. Jennifer, I am not as familiar with Etsy but I know some people do resell items on there, and that items that are particularly nostalgic or vintage do well. Correct me if I am wrong, but I don’t THINK Etsy has tools to check historical sales prices? I feel that is a very powerful tool that eBay offers, as you can easily search for past sale prices for similar items. I remember seeing an item that I had priced for $300…I thought, great, I’m gonna make BANK on that! Turns out they had it waaaay overpriced and I ended up selling my after a YEAR of price drops. The item sold for $13. 🙁 Also, eBay has great shipping protection and a Global Shipping Program for overseas buyers. Not sure if Etsy has that? Thanks Marissa. I sold on eBay a million years ago. I might just need to re-familarize myself with everything. The historical thing sounds handy. That’s wonderful you made so much on eBay! I should sell some of my things – I always end up giving everything away! Great tips. If you donate you can get a receipt for a charitable donation! Especially from places like Goodwill and the Salvation Army.